Learn the basics of the concept of percent in this easy lesson! Percent (or per cent) means one hundredth. Therefore, 1% means 1/100 or one hundredth, and 7% means 7/100 or seven hundredths. Since percentages are just hundredth parts (which means they are FRACTIONS), we can very easily write them as fractions and as decimals. Percent (or per cent) means one hundredth. and 7% means 7/100 or seven hundredths. The words “per cent” actually mean “per hundred” in Latin. Since percentages are just hundredth parts, we can very easily write them as fractions and as decimals. 1. 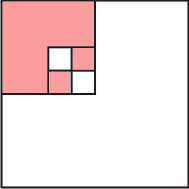 Write the shaded part and the unshaded part as fractions, as decimals, and as percentages. 2. Write as percentages, fractions, and decimals. defect, most of them minor defects. a. What typical percentage of the babies have birth defects? b. What typical percentage of the babies do not have birth defects? in a group of 500 babies? What part of the pencils are short? Two out of five, or 2/5 of them are short. Now we can write 40/100 as 40%. So 40% of the pencils are short. 4. Write what part of the pencils are short, both as a fraction and as a percentage. both as fractions and percentages. we write 1 55/100. As a decimal, we write 1.55. Since 55/100 is 55%, and one whole is 100%, the image shows 155%. So we can use percentages that are more than 100%. Just remember that 100% is 1, and 1% is 0.01. 7. Write as fractions, decimals, and percentages. 8. Write as percentages, fractions, and decimals. 9. Write the fractions as percentages. a. About 4/5 ( _______ %) of the United States population is 14 years old or older. b. About 2/25 ( _______ %) of the world’s population lives in North America. c. The continent of Africa covers about 1/5 ( _______ %) of the Earth’s total land mass. a. Write the second sentence using a percent instead of a fraction. b. If the shorter tree is 160 cm tall, how tall is the taller tree? Find 1/7 of 100%; in other words divide 100 by 7. Then your answer is already a percentage. Rounded to the nearest whole percent, that is 14%. How many percent would 2/7 be? answers to the nearest percent. a. About 1/20 ( _________ %) of the population of India is 65 years old or older. 13. Write as a percentage. Round your answers to the nearest percent. This tool shows you a fraction visually (bar or pie) and converts the fraction into a percentage and decimal. You can show or hide the equivalent percentage and decimal. This lesson is taken from Maria Miller's book Math Mammoth Percent, and posted at www.HomeschoolMath.net with permission from the author. Copyright © Maria Miller.